Guitar Avatar, Scott Huckabay creates a contemporary, shamanistic musical style, inspiring trance states resonant with the heart chakra, creating sounds in an ancient frequency that induces feelings of love and healing. Within each unique, inspirational live stage transformance, Scott presents a new level of how the guitar can be played. He is a very creative, passionate, rhythmic, high energy, one man band performer, developing complex and energetic world tribal progressions on his alternately tuned guitar, ‘Oceana’ that resonate with the heart chakra. 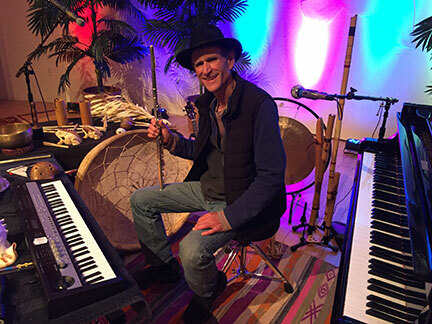 Scott’s musical alchemy turns sound into gold through electrifying inner-dimensional sound explorations that can be experienced in your body that uplifts the hearts of humanity. Scott’s act is reminiscent of transcended master Michael Hedges meets Jimi Hendrix meets Ravi Shankar. He is a very rhythmic live looping performer, developing complex and energetic tribal progressions on his alternately tuned guitar. He takes the audience by surprise, leading them through dancing and joyous celebration into the realm of his celestial worship – the courtyard of the Divine. Various guitar tools assist in the journey of this vision caster from the land of Mu and his six stringed instrument of divination. Each prayformance slowly brings the audience into his swirling, celebrating dance. And then he takes them to new heights – his love and adoration of the Great Spirit. Inspiring individual performances with amazing heart open vocals that come from the depths of the Soul and inspired by the heights of pure Spirit. Silvina is holistic counselor, conscious guide, educator, singer, minister, dance instructor, and she incorporates dance, drama and movement composition to her training. 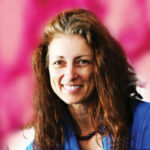 She plays the singing crystal bowls and brings more than twenty years of experience in the areas of energy work, self development, movement and voice. She is also working as a facilitator in stress management for San Francisco General Hospital for a special program for cancer patients. At 22, Hansen traveled to Kauai, where he met a flute maker who peaked his interest in exotic, handmade flutes. Starting in 2005, Hansen traveled all over the Americas and parts of Asia, absorbing local cultures and traditions, initially searching for unique flutes, that were functional pieces of art. After a crash course in bamboo harvesting in the jungles of Kauai in 2009, the first “Root Flutes” were created and the search changed into a quest for collecting materials ranging from bamboos and crystals, to elk antler sheds and exotic wood, fossilized mammoth tusk and other fossilized materials. 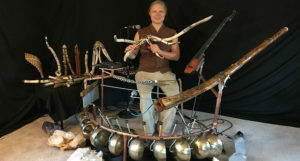 Hansen has harvested these materials to create his one of a kind instruments as he traveled in Mexico, Columbia, Ecuador, Peru, India, Kauai and Bali & more. The act of playing these sacred flutes necessitates deep awareness of breath, drawing the player into the present. Conscious breath becomes sound, a kind of potent medicine. A vibration that reconnects us to our bodies and beings. To listen to Hansen play his handmade multi-tone flutes is to bear witness to a fundamental human undertaking: a ritual so pure and so absent from our modern, plugged in life. Ken Becker, cellist, bassist, guitarist, instrument maker and audio/video engineer, finds sound a powerful medium through which to cultivate and share healing energy. Performing and recording prolifically, stringed instruments are his heart’s channel to instill peace and nurture inspiration. Presently involved with a variety of ensembles as instrumentalist and engineer, ultimately, music as meditation is his ongoing practice. Ryan has been studying drumming, dancing, and singing for the past 17 years. Originally beginning with body percussion, hiphop dance, and spoken word with Be The Groove (https://www.bethegroove.com/) in Chicago, he went on to study Capoeira and learn berimbau in the midwest. 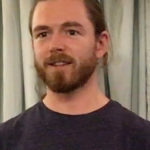 In 2011 he traveled to Australia to study TaKeTiNa, (http://taketina.com/) spending two years there before settling in the Bay Area of California. These days he teaches here at the Globe Institute of Sound Healing, studies Circle Singing with Dave Worm, (http://sovoso.com/) and is simultaneously mentoring with Bruce Silverman (http://brucesilverman.org/) acquiring in-depth hand drum teaching geared toward psycho-spiritual leadership. 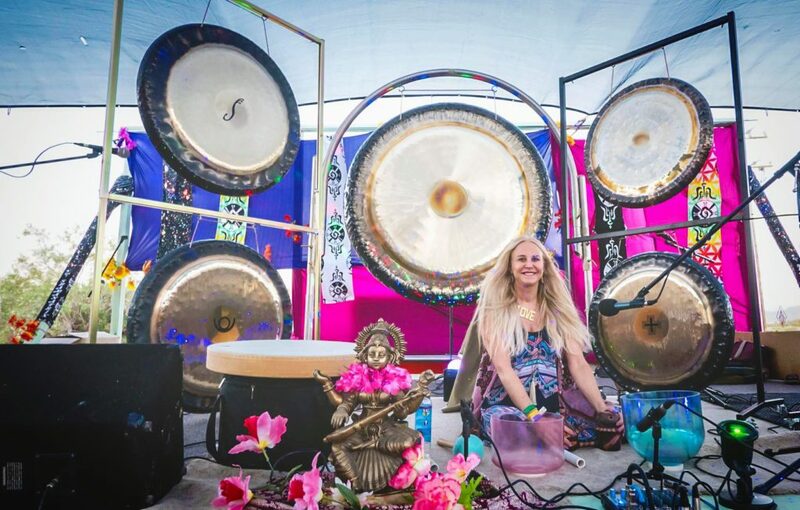 Lisa has 6 gongs including two 60″ gongs that will rock your boat. The sound is profound!!! Gongster’s Sound treatment is a personal journey that touches the delicate Strings of our soul. Awakens spanless creative powers in us; changes us, our lives and the lives of people around us. When we are in harmony, our health returns, our light shines, we become centered, & awake Raising our consciousness here on earth and dimensions beyond. Gongster is NOT about a ”physical” practice and there is no crashing or banging of the gongs. When I play, I connect to”NOW”, that essence of all. Within the sound, there is a language that the body and soul understands. By language I do not mean “words,” I mean “information.” This information is our true guide our soul understands. . I was a pilot for 25 years, and became bedridden for 2 years, until I found the power of sound and vibration. When you begin to see the possibilities of sound healing there is a desire to share this ancient powerful tool to others, uncovering the secrets we all ready know. Gabriel Gold is an internationally-recognized, San Francisco, CA based composer, sound healer and environmental advocate; his works drawing from personal pilgrimages to sacred spaces across the globe; a pioneer of the Handpan (a steel, melodic percussion instrument he plays in accompaniment to his Angelic, countertenor-ranged voice) and teacher; of which through his “Healing Voice Experiences” has personally supported thousands of people on the journey of developing a fulfilling relationship to their singing voices and through such, a deeper spiritual connection. He is also a graduate of Globe Sound and Consciousness Institute. When at home in The Bay, Gabriel facilitates a weekly “Healing Voice Circle” and performs regularly in collaboration with renowned yoga teacher Darren Main for Yoga on the Labyrinth, a weekly 700+ student class taught inside San Francisco’s revered Grace Cathedral. 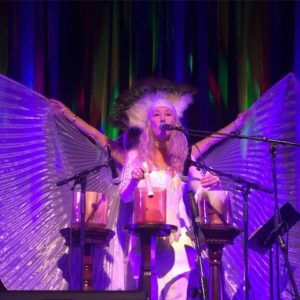 Accompanying herself with an array of gem infused crystal alchemy bowls; Kimberly Bass has developed an extraordinary style of harmonic singing that is in perfect synergy with the acoustic vibrations emanating from the bowls. 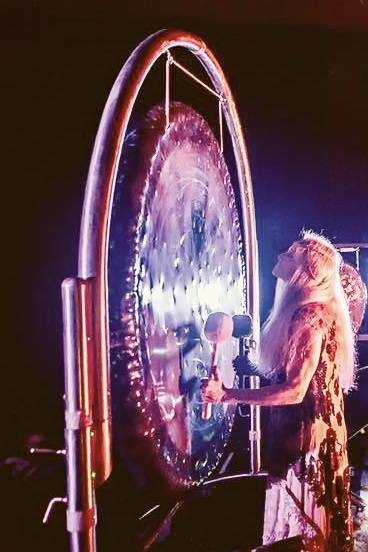 Drawing from a lifetime’s vocal experience Kimberly’s mastery of harmony has been described as “other worldly, putting the listener into a transfixed eternal moment.” Her ancient celestial chants take us through harmonic sound portals where one may experience a high level of self-transformation. Kimberly’s unique style fuses her voice with the textures and frequencies of the crystal bowls, creating amazingly beautiful angelic music. 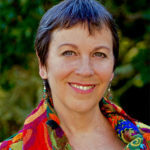 Bodhi has been working with sound meditation, sound healing and sacred sound journeys for over 40 years. He has studied with Tito La Rosa, Paul Horn, Allaudin Mathieu and many other artists. 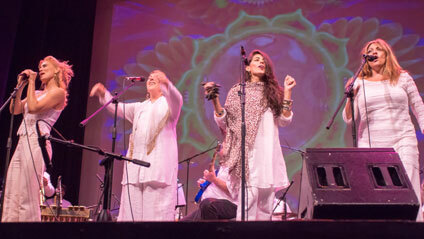 Around the globe, his music is used in yoga studios, health spas, and health practitioners offices. His music has had millions of plays on Pandora, Spotify and other streaming sites. He is a professional musician, songwriter, composer, recording artist, producer, teacher & band leader. The founder of recording ensembles, CRYSTAL WIND and RHYTHM MATRIX, he has 16 original CD’s in his portfolio. With a deep love of nature and many years experience as a wilderness guide, playing his flute in the forest, Bodhi developed his own, unique style of improvisation within the healing music modalities. He offers group and private sound healing journeys for concerts, festivals, yoga classes, meditation groups, retreats and conferences.